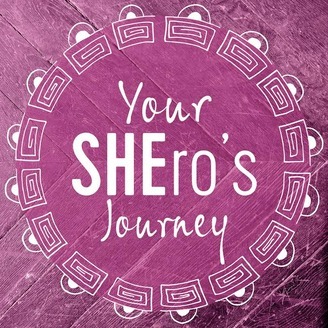 Welcome to the all-new Your SHEro’s Journey Podcast! Over the past 12 months we’ve been inspired by over 40 SHEo’s who have shared their amazing stories with us, but now it’s time to go deeper. My intention for the show is that you’ll learn how to connect more deeply with the rhythms of life, so that you can reclaim your power and your rightful place in the world as the wild, mysterious, and deeply connected women that you are. Today on the show I’m joined by Tabitha Jayne, CEO of Earthself, Author and Applied Psychologist, and Ruby Toad, Ruby Toad.com and Rebel Spirit, as we tap into the Aquarius New Moon, and talk Collaboration and Quirks. How when we work together we can take on bigger challenges. That we can learn a lot from how nature work’s in collaboration, it is not a system of independent parts. What she has learnt by looking to nature to the answers for everything. What nature can teach us about tackling both local, and global issues. How we can make a difference to the causes we’re passionate about and stop feeling overwhelmed. How one person can make a difference. Why we need to change what we focus on. The importance of our putting starting with own personal creativity, health and well-being, as change only happens when we’re in a relaxed state. The powerful effect of speaking your truth, even if your knees are shaking. How we have come much further than most people realise, and she shares some very inspiring examples. How the internet and Facebook are our allies when we curate them to support us. We talk about what it means to be a rebel in today’s world, and how it’s far removed from the stereotypical leather jacket and motorbike boots. Why it’s essential that you embody, rather than suppress, your SHEro Rebel. How suppressing this aspect of yourself can lead to anxiety, feeling low, and disconnected. How important having support is as you reclaim your SHEro Rebel Spirit. We share our own biggest acts of rebellion (I’m not sure if mine’s an anti-rebellion!?!). What to do when you feel that friends and family undermine you when you express your truth. The importance of having a sacred practice such as kinesiology, yoga, meditation, walking, to support you to have a clear, mind and heart, so you can tune into your own voice. Why healthy boundaries are so important. 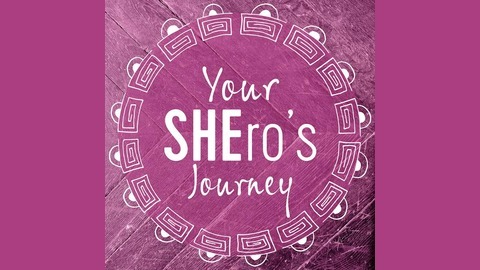 We set you the SHEro challenge! Tabitha Jayne is an applied psychologist, coach, consultant, author and the founder and CEO of Earthself whose mission is to educate leaders and organisations on the transformative power of nature-centred business. Tabi is also the creator of The Nature Process and has spent the past fifteen years studying nature, the human mind, and the intersection between the two. A rebel hearted spiritual mentor and healer, Ruby Toad helps busy modern women cut through the chaos and noise of daily life to connect deeply and powerfully with their inner calm and wisdom. This connection becomes a supportive foundation as she guides those who are ready to go even further, on a transformative journey of claiming, making space for and creating what makes them truly happy as they live life on their own terms. Deeply rooted in earth magic and divine feminine wisdom Ruby is a medicine woman for modern times. She believes that the dark times and challenges in our lives hold the keys for true self acceptance, understanding and growth, that humour and not taking oneself too seriously is key to healing and that following the joy is the secret to life. She lives in a small town on the Canadian Prairies with her family and critters and when she’s not busy with work and board meetings you’ll find her hanging with her crew, spending time outside or wandering off to see where some random dirt road goes.